This is a new print that honor the Coast Guard's latest aircraft and her crews. 2714, a C-27J out of Elizabeth City touches down after some of the first flights. This print is in pre-order and will ship mid-August. 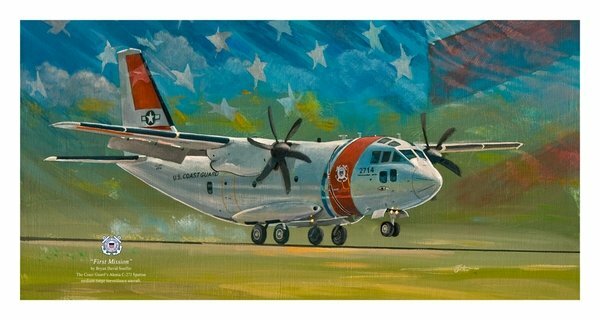 The painting will feature the C-27J and the American Flag flying in the background. Bryan will be posting more images soon as the painting progresses.